I just spoke with Jim down there, and he told me that he may be able to get it back up and running for << the Curtis rebuild price ($700 or so), and can increase the current and voltage (750-900A, 156V). I’m going to pack it up right away! Logisystems in TX is doing repairs on blown Curtis controllers now. They also claim to be on the verge of offering new 156vdc controllers in the 800 to 1000 amp range. Series DC electric motors for high performance golf carts and motorcylce sized vehicles. Advanced (Series) DC Motors for medium to large sized Evs. Warp Electric Series DC electric motors for medium to large sized EVs. AC motors for high perfomance golf carts and electric motorcycles. India based company attempting to manufacture improved version of the Lynch motors manufactured by Briggs & Stratten in the US and LMC/Lemco in Europe. These DC Series pancake style motors are efficient, and produce excellent power for their relatively low weight. They purchased assets and license of the Bolder Technology and plan on building the Bolder Cells. These are the batteries that Kilcycle used to have before Bolder went out of business. EnerSys is the world’s largest industrial battery company offering a broad line of batteries and chargers for electric motive power applications. National Renewable Energy Laboratory located in Golden Colorado 80401 phone: (303) 384-7580. Shawn Lawless is a great guy who does great work on his electric drag racers and parade floats. His latest effort revolves around producing an electric mower with a zero turning radius like the gas powered Dixie Chopper types. Ontario Canada company manufacturing an Elec Trak like electric tractor with a number of front mounted attachements. The Vetrix is an electric “maxi scooter”, meaning performance similar to a 250cc scooter. The scooter is a large motorcycle sixed machine with two places with a trunk for a helmet. The batteries are in central position and the refill with 80% is carried out in 2 hours. It features regen braking. The batteries are Nickel/Metal Hydrat without maintenance. The models for Europe produced in Poland and the current price of the scooter is 6299? cash and a 4 years leasing to 150? per month including/understanding the insurance, maintenance and the assistance with the guarantee 4 years. Company seems intent on bringing hybrids and EVs with advanced batteries to the market. Site has news feeds on hybrids and alternative fuel related stories.  National super set of affiliated EV clubs across the US and Canada. Go to their web site click on chapters and drill down for an EAA affiliated club in an area near you. Web group for folks interested in restoring and upgrading old electric tractors made in the early 1970s. Some good information here as they also talk accasionally about converting a gas tractor or snowblower and I have seen some discussion of modern electric tractors. Want to document your conversion or just look at the efforts of others? EV Forge. it’s purpose is to provide free hosting for conversion web sites. No ads, either, really nice!